Thanks for hosting me, Jamie! Congratulations on a fun contest, Jamie. I wish I could have visited more blogs to comment. I hope people leave their posts up a big for us stragglers! Thanks for the contest, Jamie! I’m so happy that the gods of random are in my favor. 🙂 I’ll send you my revised page soon. Yay, thanks so much! Looking forward to reading Halflings. And Callie, your book sounds awesome. Thanks so much for this opportunity, Jamie!!! 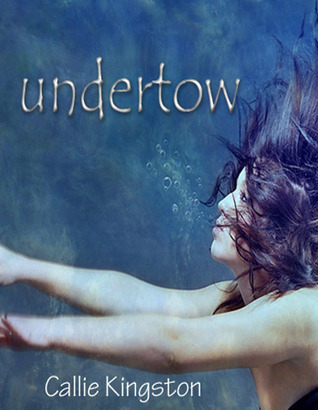 Great interview, too, I am totally adding Undertow to my Goodreads TBR list. Awesome blog hop 🙂 Yay! I’ll do a few edits and send it over. Sounds like a fascinating book. I love that you are pushing beyond popular trends to add something new to the genre! Very intriguing – and I love “Twi-not”! Hilarious! Undertow sounds like a great read! I’ll add it to my TBR pile, too! Yes, my nicknamed title definitely kept me focused! I hope you enjoy Undertow. Thanks for stopping by for the interview, Laura, and for the compliment. Congrats to Deana . . .you’ve been selected to win a free copy of Undertow for your Kindle:):) ~Happy Reading!